Sony Interactive Entertainment has annnounced the free PS Vita games for PlayStation Plus subscribers in North America and Europe for February 2019. Additionally, Sony Interactive Entertainment has announced that February 2019 will be the last month that PS Plus offers PS Vita games as part of the monthly games lineup. This month’s PS Vita games will be available until March 8, 2019. After March 8, 2019, PS Vita games will no longer be included in the PS Plus monthly games lineup. Any PS Vita games you have already downloaded, or will download, prior to March 8, 2019 will still be part of your PS Plus games library as long as you remain a member. 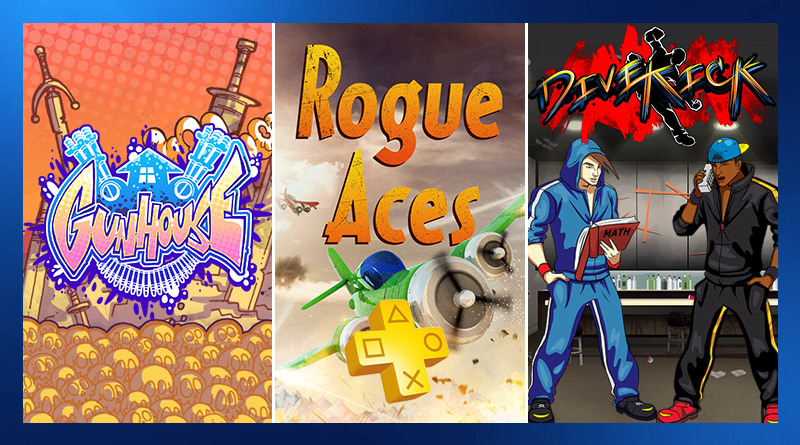 The following PS Vita games will be available for free starting February 5, 2019. Gunhouse is part puzzle, part active tower defense, as you make big combos to launch a hail of bullets and special attacks at the alien invaders who would like nothing better than to consume your delicious orphan friends. With infinite levels, upgradeable weapons, a unique art style, and music by Fez composer Disasterpeace, Gunhouse is a cute, endless game that will chill you out and rile you up. Take down waves of dastardly enemies in this endlessly emergent air combat rogue-like where nothing is the same twice. With a multitude of game modes to discover, no loading screens to stutter the action and a whole lot of landscape to take back, jump in the cockpit and take back what’s yours. Divekick is the world’s first-ever two-button fighting game. It has earned notoriety in the press and fighting game community by not using a stick, yet still retaining the strategic gameplay and spacing techniques employed by professional fighting game players. Now anyone can experience the thrill of fighting games without memorizing complex combos and finger-contorting button presses.